WHAT IS VIJAY UP TO ON THE PONGAL DAY? India is busy celebrating the harvest festival but team Theri is wasting no time in delivering the action-drama for a special day. Atlee directed, Kalaipuli S Thanu produced Theri starring Vijay, Samantha and Amy Jackson also has director Mahendran playing the baddie. 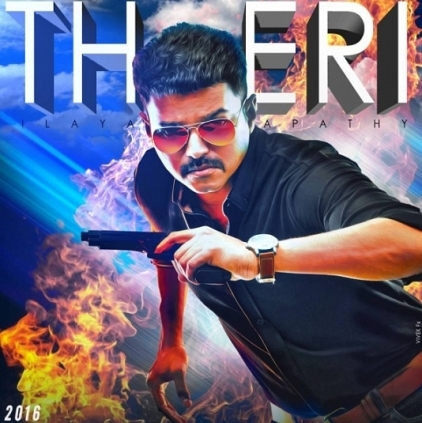 Exclusive Theri stills have captured Vijay's swag at its best and people are loving the film's look. Although the wait for the teaser is getting unbearable for the fans, here is Amy Jackson tweeting about her Pongal schedule. Amy's tweet says, "Happy Pongal! Excited to spend the first day of the Tamil New Year on the sets of Theri with @actorvijay 💕"
Vijay's Theri To Be Completed Before Pongal! People looking for online information on Amy Jackson, Atlee, Theri, Vijay will find this news story useful.